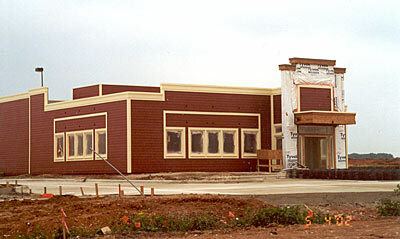 Construction of Chili's restaurant - May 2002. 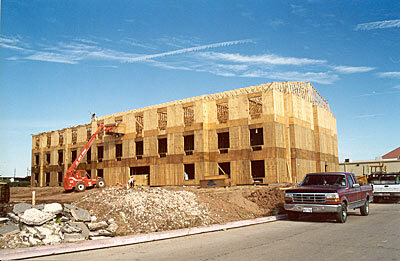 Construction of Home Depot - May 2002. 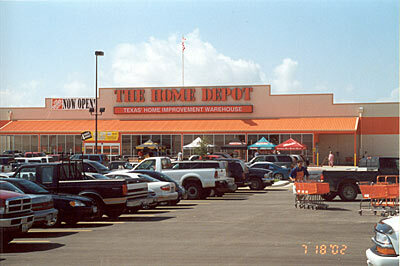 Opening in Bastrop, July 2002, were both The Home Depot and Chili's Restaurant. Scenes below show the two located in the new Hunter's Crossing Shopping Center. Hunter's Crossing is a 286-acre multi-use development by Sabine Investments. 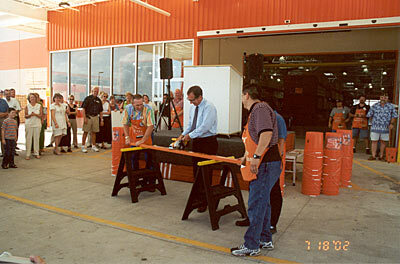 The Home Depot was welcomed to Bastrop by a big crowd on opening day, July 18, 2002. 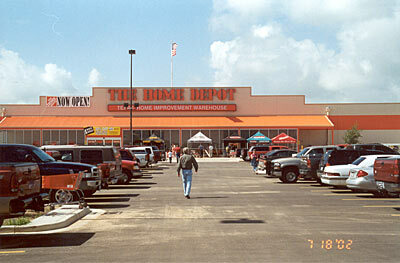 Another view of the Home Depot store in Bastrop. It is a 111,000 square-foot store that includes a 26,000 square-foot garden center. Officiating at the opening ceremony ribbon cutting, or more precisely, board cutting, was City Council member Terry Sanders. 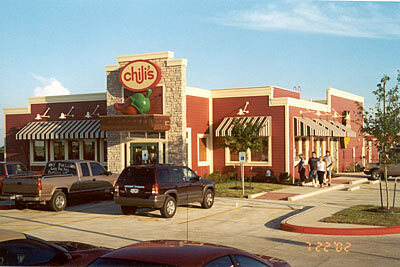 Before the official opening on July 25, 2002, Chili's had a training in progress period and introduced the restaurant to the public. 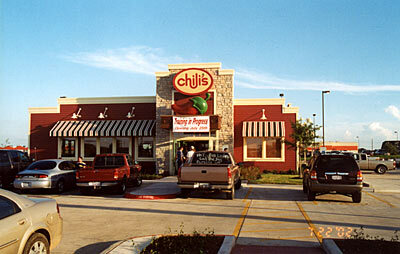 Opening one week later, the new Chili's Restaurant opened to large crowds. 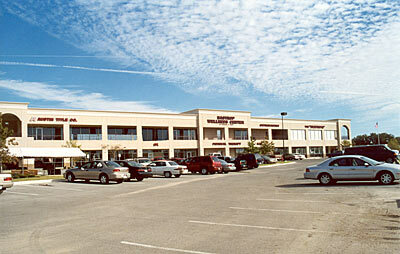 The completed Bastrop Wellness & Professional Center at 301 Hwy. 71 West. Coming Soon! The Holiday Inn Express.